The construction of a new library and council services centre for Newham Council in East Ham. The Architect, Rick Mather, designed the brickwork façade to form a key feature of this building. The vast vertical “fin” stack-bonded detail involved a system of brickwork secondary support designed by our partners at Ancon. This, along with hundreds of individually manufactured brick specials has created a contemporary public space for Newham Council. In addition to the main building, an extensive external works and heritage repairs package was undertaken by Pyramid. 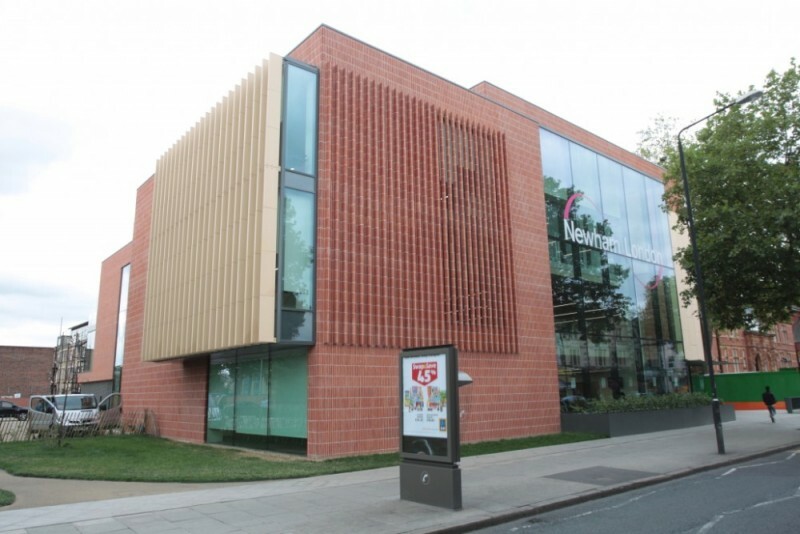 Due to its striking external brickwork features, this project was shortlisted for the New London Awards for best Civic, Culture and Sport building.